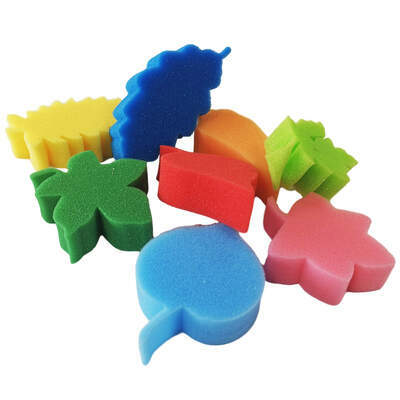 These high-quality Foam Leaves Assorted Pack of 8 offer even the youngest children an engaging way of creating masterpieces. Constructed from a durable foam, each one has a high retention rate with both inks and paint which reduces the risk of art-damaging drips or splashes. This pack of 8 foam leaves features assorted autumnal colours and a range of leaf shapes that can be placed together to create a luscious array of rich forest leaves. Introduce to younger classes as a way of teaching shapes or supply to your artistic care home residents who struggle with the dexterity required for painting. Perfect for both art classes and display creation.